Email marketing has stood the test of time. The first email marketing campaign was sent in the 1970’s and the early 1990’s saw the first mobile email experience. No matter how many new tactics come on the market, email is still a strong force. In fact, recent research has found that email marketing is 40% more effective at acquiring new customers than Facebook and Twitter. While most brands have not abandon email marketing completely, it’s taken a backseat to flashier advancements in digital marketing. But the numbers don’t lie, email marketing can still be an incredibly successful digital marketing tactic, if executed correctly. Part of developing a successful email marketing strategy means having the right tools in your arsenal. This post covers 10 different email marketing tools (in no particular order) that can help you take your email marketing from good to great. This email platform enables brands to deliver automated emails that are uber relevant, based on customer behavior. Everything about Emma is focused on creating a personal and customized experience for readers through the use of segment builders. Additionally, their drag and drop editor and HTML builder offers options for organizations large and small. Response Dashboard: Precise reporting enables users to learn about their audience in order to optimize the approach with each email sent. Mailing Score: Benchmarked scores against other emails sent makes it easy to determine how the message is performing. Click Map: If you’re curious to see which parts of your message are most impactful, this tool makes it easy to see where people are actually clicking within your email message. Plans range from $89/mo to $770/mo. 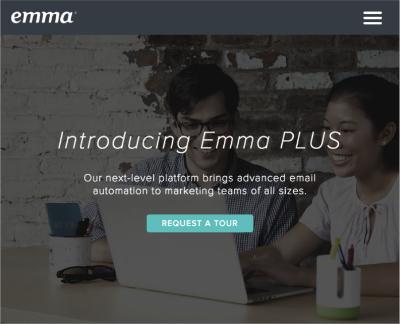 Emma offers a risk free trial for brands that want to give their platform a test spin. MailChimp is an turn-key email marketing solution used by over 14 million people worldwide. Additionally, their platform integrates with hundreds of other web services making it easy to integrate with other tools you’re already using. Flexible Design: This platform aims to provide users with multiple options for building the “perfect” email. Powerful Automation: Targeting options including behavior, preferences and previous sales allow users to automate emails to increase efficiency. Advanced Analytics: The advanced reporting within this platform enable you to monitor sales and website activity alongside revenue reports to inform your email strategy. Plans range from $0/mo to $199/mo. 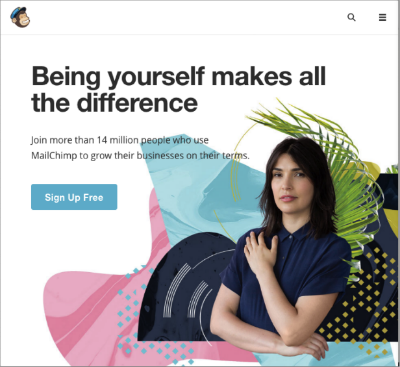 While MailChimp doesn’t appear to have a free trial, there is a version available at no charge for users to get their feet wet. GetResponse is a great solution for brands that want an all-in-one solution. In addition to email marketing, marketers can run landing pages, marketing automation and webinars all through this one tool. Solutions Based on Industry: Each solution is tailored for the industry that you’re in, ensuring that the tools will best meet marketing needs. Landing Pages: Make landing page development a snap with their mobile ready templates. Marketing Automation: Map messaging to the unique customer journey by utilizing logic and conditions. Plans range from $15/mo to $799/mo. GetResponse offers a free trial for first time users. Widely known as a full-blown marketing automation platform, HubSpot’s email marketing solution (within marketing automation) provides ease-of-use for small teams. Pre-Built Templates: In addition to the templates that come with your subscription, HubSpot offers a marketplace where users can choose from dozens of templates that have been tried and tested. Personalization: HubSpot enables users to target emails based on lifecycle stage, membership or information within their contact to provide the best email information. A/B testing: Detailed analytics and A/B testing makes it easy to determine how different members of your audience react to your marketing message. Plans range from $220/mo to $2,400/mo with an additional fee for on-boarding. For each of their solutions, HubSpot offers a free trial to get started. FreshMail’s focus has always been on providing a user-friendly solution to help brands build relationships with their customers. Their highly-personalized approach to email marketing encourages interaction. 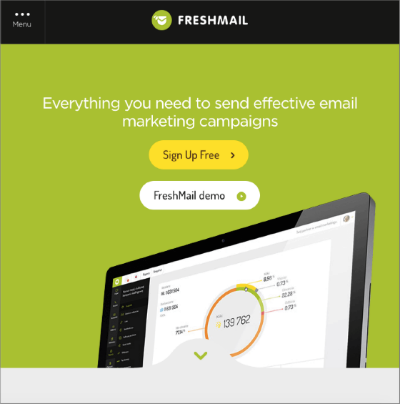 Campaign Types: FreshMail’s solution allows users to implement many campaign types including text messages, autoresponders, A/B test, API-based and more! Retail Solutions: This platform can generate different promotional barcodes for customers to use in-store. Easy HTML Build: HTML is a snap with the import and export functionality of this platform. Plans range from $0/mo to 405/mo. If you’re still trying to find the right fit, use FreshMail’s free version to get started. We are fortunate to live in a (marketing) world where data on our customers is readily available. In order to take advantage of the information at your fingertips, it’s important to find the right tool to make those insights actionable. 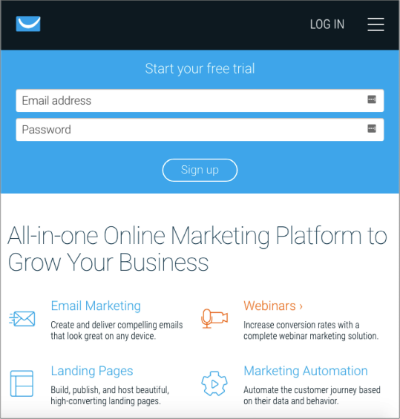 Which email marketing tools have you used and what has been your experience? Great list! 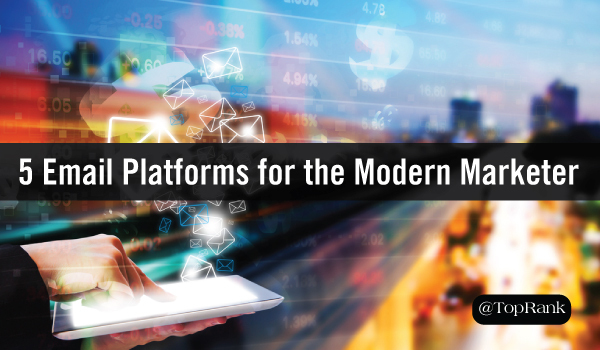 It’s wise to try a few platform before settling for one. GetResponse’s marketing automation sounds pretty cool. Thanks for good roundup. Recently, I’ve started using the Apptivo marketing tool. Their features are easy for use, no complex structure, fits my requirements and investment is low. That’s why I picked up this tool. Many thanks for including us in your piece, Ashley!